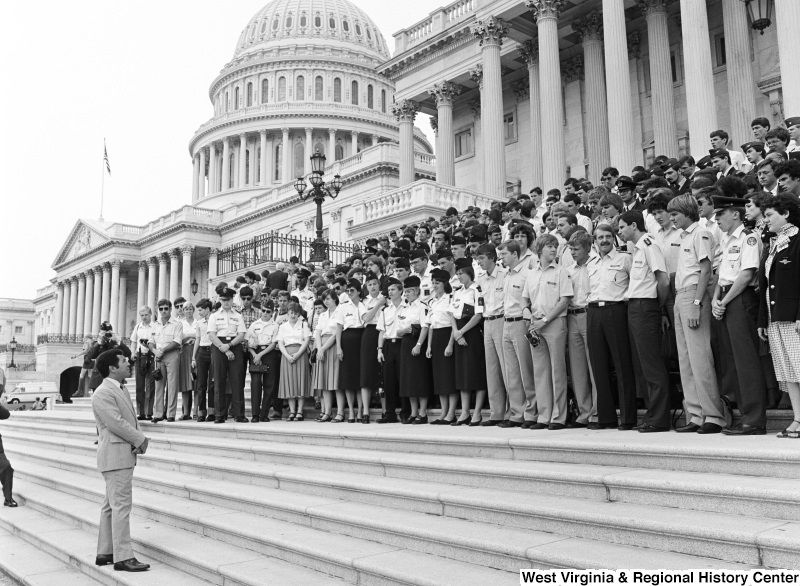 Congressman Rahall faces a large group of people wearing military uniforms on the steps of the Capitol Building. 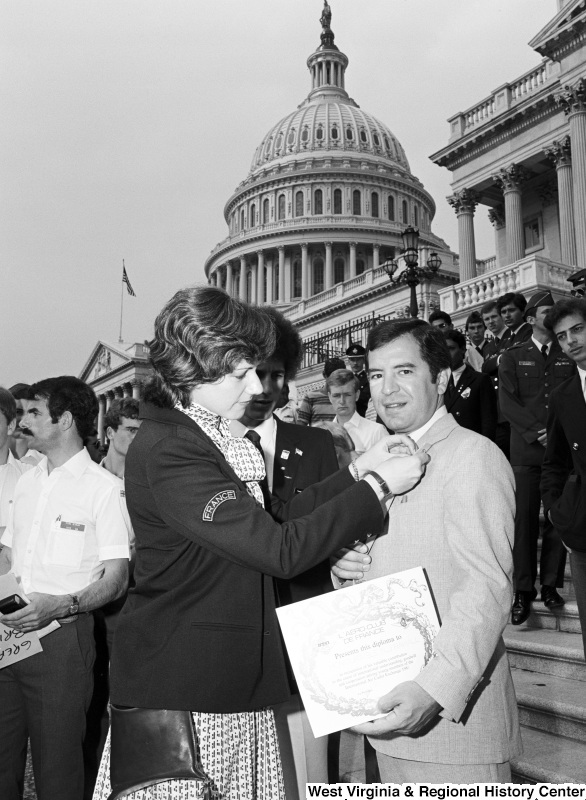 Congressman Rahall stands on the steps of the Capitol Building holding a diploma presented by L'AERO CLUB DE FRANCE, while a woman wearing a "FRANCE" insignia pins something to his lapel. 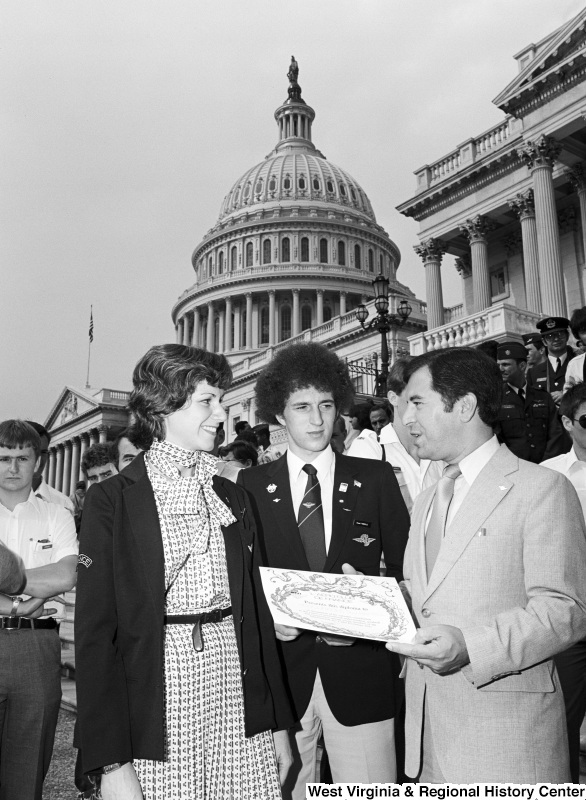 Congressman Rahall stands on the steps of the Capitol Building holding a diploma presented by L'AERO CLUB DE FRANCE, while talking to a woman wearing a "FRANCE" insignia and another young man wearing badges and a tie bearing winged ACF insignias. 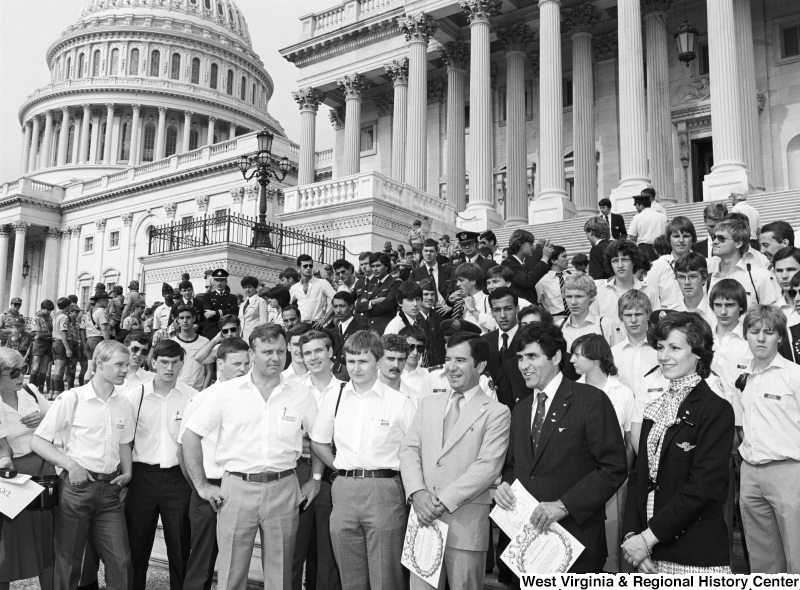 Congressman Rahall and Harrison Schmidt, among a group of people on the steps of the Capitol Building, hold diplomas presented by L'AERO CLUB DE FRANCE.